Nutritious snack to fuel your adventure. Consider your craving satisfied and energy restored with a healthy AlpineAire Snack. 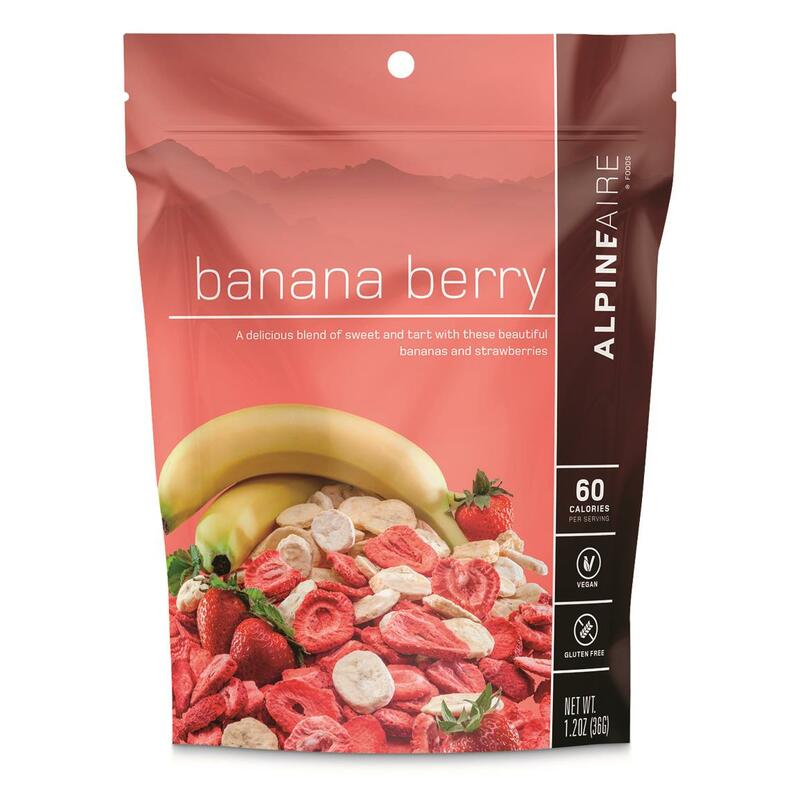 Anytime, anywhere, on any adventure, this Banana Berry Mix is ready when you are. 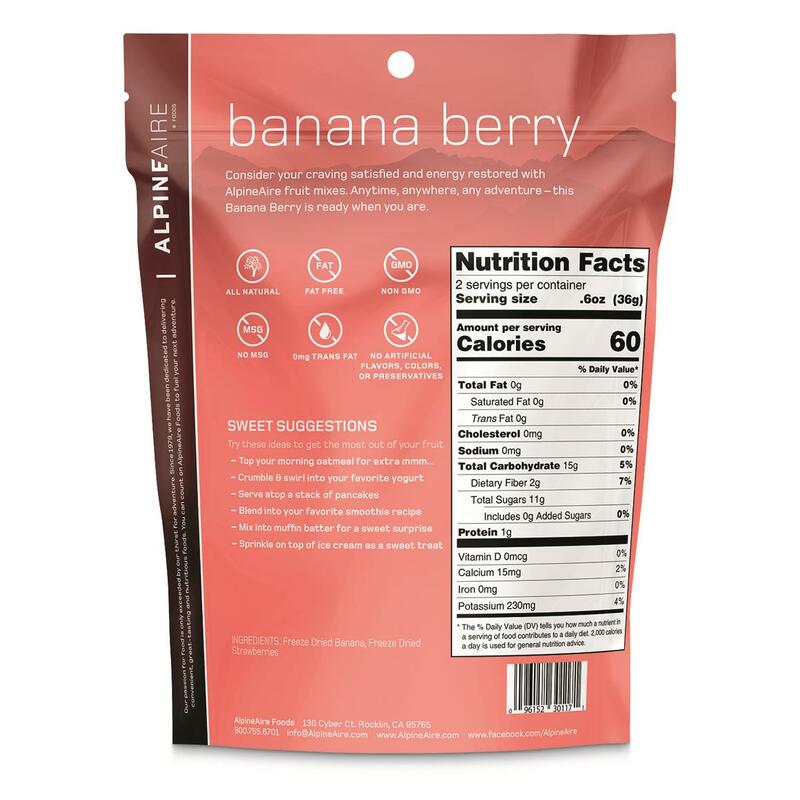 Liven up your taste buds with a beautiful blend of sweet and tart bananas and strawberries. All-natural ingredients provide on-the go fuel for your active lifestyle. 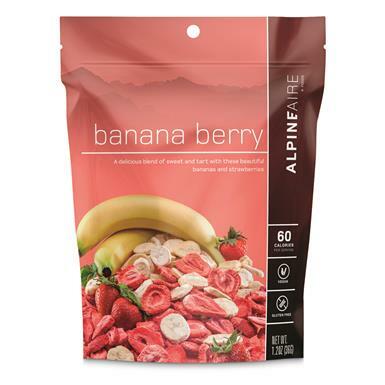 Freeze Dried Banana, Freeze Dried Strawberries.